ED: Why did you write Movements that Change the World? STEVE: A number of reasons. As a church planter I remember hearing Peter Wagner say, “Starting new churches is the most effective form of evangelism under the sun.” I thought if that’s true, then starting church planting movements could be even more effective. I dived in to some church history and discovered that God was continually raising up movements for the renewal and expansion of the Christian faith. I learned that those movements are always on the fringes. 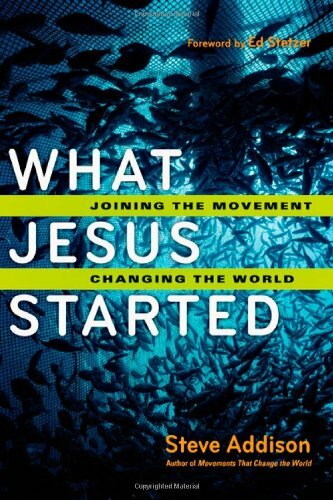 I began looking at Jesus as the founder of a missionary/missional movement that now spans the globe. I read Acts and Paul that way, and the lights came on. ED: You’ve identified the characteristics of dynamic movements. Tell us about them. STEVE: The five characteristics are: white-hot faith, commitment to a cause, contagious relationships, rapid mobilization and adaptive methods. The secret of Jesus’ life and ministry was his relationship of loving obedience to the Father and dependence on the power of the Holy Spirit. He drew his disciples into the same relationship and sent them out with no other resources. A white-hot faith provides the motivation, energy and legitimacy to go change the world. Next is commitment to a cause. For good or for evil, history is made by people committed to a common purpose. Nothing changes unless people care deeply and are willing take action. Jesus had high expectations of his followers. So high, that some of them walked away. John Wesley was the founder of the Methodist movement. On one occasion he visited Bristol. When he arrived there were 900 people in the local Society. When he left 143 of them had been removed for various reasons: among them wife-beating, smuggling, and drunkenness. Wesley led a disciplined movement that changed the world. The third characteristic of movements is contagious relationships. We are all just six handshakes away from everyone on the planet. Ideas, like viruses, spread from person to person and from group to group. In the age of the internet, contagious relationships are still the most important form of communication. The most responsive people to the gospel are those who have recently seen someone in their world come to faith. Whenever we see the Christian faith expanding exponentially, it’s traveling across networks of preexisting relationships. We tend to focus on building quality relationships with a few. Jesus focused on connecting broadly and then through one responsive person, reaching households and villages. That’s how we see the gospel spreading in Acts. The fourth characteristic is rapid mobilization. Movements don’t abolish the clergy, they just ordain everyone for ministry. What did Jesus do? He went after ordinary people and trained them on-the-job. His lecture on the nature of faith was conducted on a sinking boat in the midst of a storm. There was theological content integrated with life and ministry. Jesus grew leaders and released them to go and change the world. You don’t get dramatic expansion of a movement if everyone is a paid professional. If anyone is paid, they are paid to pioneer new fields and mobilize others. Whether they are in New York or New Delhi, that’s what missionaries do. The last characteristic is adaptive methods. The best illustration of an adaptive method I can think of is the game of soccer. Soccer is the world’s game played by hundreds of millions and watched by billions. Why? I think it’s because you can drop a ball at the feet of a three year old and she can start playing. It may take a lifetime of practice to master the game, but only an instant to begin enjoying it. Try doing that with American or Australian football. Adaptive methods are simple, flexible and transferable. That’s one reason why Jesus taught by telling stories. A good story, like the prodigal son, can be told by anyone to anyone, even across the boundaries of culture and time. 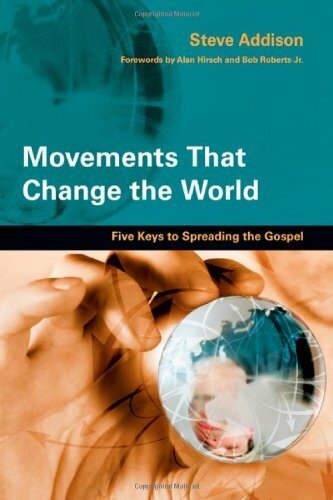 Movements are unchanging when it comes to their core message and beliefs. At the same time they are willing to change everything else to get that message out and get the job done. Unfortunately we have churches that are unwilling to change their methods, but quite happy to change the heart of the gospel. They have the worst of both worlds and the fruit is clear to see. ED: What are some contemporary examples of adaptive methods? STEVE: I think the Alpha program is a good example. The strategies that David Garrison and others have developed to fuel church planting movements around the world is another clear example. ED: Where are the examples of dynamic movements today? STEVE: The exciting news is they are mostly in the developing world—Africa, Asia, Latin America. These are also the regions of greatest population growth. Today, over 90% of new Christians will come from these regions. Expect that trend to continue. 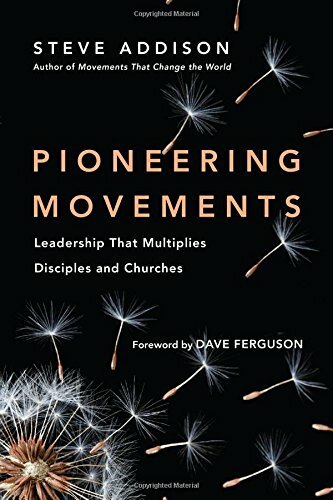 In the US I’ve been encouraged by leaders such as Neil Cole, Bob Roberts, Ralph Moore, Tim Keller, Mark Driscoll, and Jimmy Seibert who emphasize multiplication of disciples, workers and churches rather than just growth. A growing band of leaders are seeing the church as a movement. The whole missional/emerging discussion has helped unfreeze us all in our understanding of church. If that can be combined with a commitment to the Gospel and a passion to multiply disciples it could be quite fruitful. ED: Who do you want to reach with the message of this book? STEVE: As I wrote I thought of a number of actual people. A couple leading a home group who have led eighteen people to Christ in the last year, and are wondering if this is the beginning of a new church. I thought of the leader of a large church in Kenya that is growing leaders who plant churches in the suburbs and the slums. I thought of a young woman in China who has come to faith, and is now reaching her friends with the gospel. I thought of a church leader in New York with a vision to reach the cities of the world. ED: What difference do you hope the book will make? STEVE: I want people to discover Jesus as the leader of a movement that changes the world.